Looking for a large and comfortable SUV? According the Honest John Satisfaction Index 2018 these are the 10 SUVs that impress the most when it comes to comfort, reliability, running costs and practicality. As with everything in the Honest John Satisfaction Index 2018, these results are based on driver feedback from 10,000 owners. 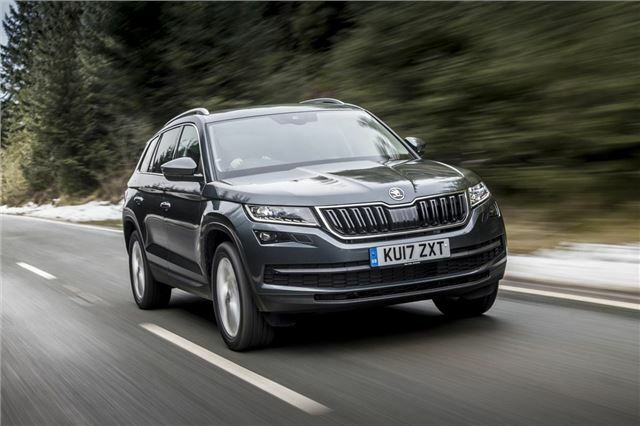 The Skoda Kodiaq is the most popular car with HonestJohn.co.uk readers, winning the Car of the Year award in the process. That popularity is now backed up with some extremely positive owner reports. Easy to drive, practical, comfortable and packed with useful tech, the Kodiaq gets almost 10 out of 10 in all of the important SUV areas. However, running costs weren't so good - with our Real MPG submissions showing the Kodiaq only achieves about 80 per cent of its claimed fuel economy. This list is titled LARGE SUV's, yet in some of these sardines would be uncomfortable. If you use the words big, then select the big vehicles.